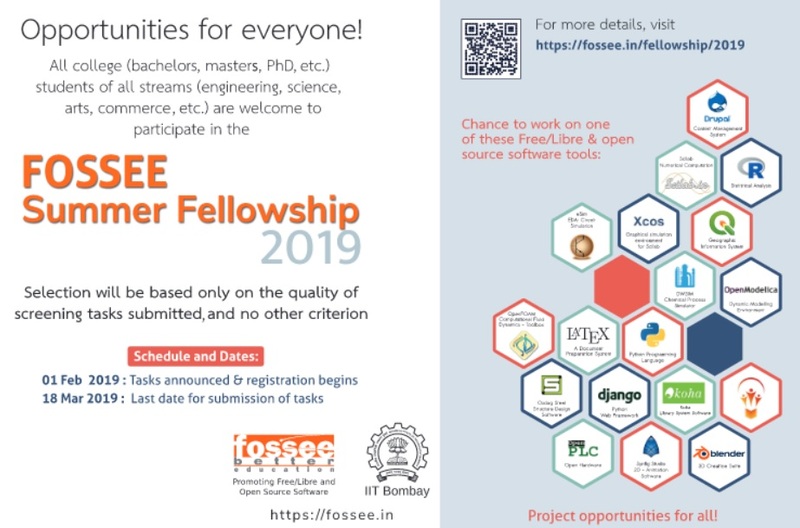 FOSSEE, IIT Bombay invites applications for Summer Fellowship 2019 from students in all the streams across the country. FOSSEE works on promotion and development of Free/Libre and Open Source Software in education. Just follow the below steps to register fo FOSSEE Summer Fellowship 2019. Step 2 : Next click on the “Sign Up” button and fill the following details to create an account. 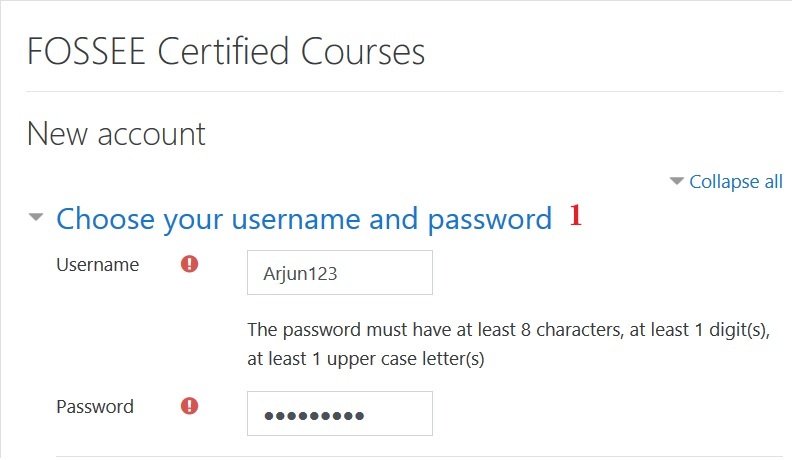 Step 3 : After create your account, login with your registered user name and password. Step 4 : Then select the particular screening task and fill the remaining details to complete your application. Note : Kindly note that a candidate can register for screening tasks under only one project. Following is the list of projects with the link to their respective screening tasks. Please visit the respective link to know more about the screening tasks. The selection procedure will be based only on the performance of the candidate in the screening level tasks. If selected for the fellowship, the candidate has to come to IIT Bombay and work under the mentorship of the FOSSEE team members. The submitted tasks will be evaluated by the FOSSEE team and the decision will be final. The candidates selected for the fellowship will work on the development of various Open Source Software / Hardware projects. This fellowship is available for a maximum of 8 weeks and will not be extended. The last date for submission of the screening tasks’ work is 31st March 2019.